We have had some fantastic Colombia Supremo green coffees come through Vournas Coffee Trading in recent years. Notably, the Santander Department has garnered our attention with its natural, shade-grown coffees cultivated throughout the forests, where the rich volcanic soils, idyllic microclimates and average temps (68-71°F) are perfect for growing specialty grade arabica. The Bucaramanga El Gato is a true 17/18 screen Colombia Supremo green coffee, handpicked, washed and milled by the Northeastern Colombian Coffee Cooperative (Cooperativa Cafetera Del Nororiente Colombiano). In the cup it shines with a nice, medium body with a slightly creamy mouth feel, bold acidity, and notes of sweet orange, slight nutty almond and sweet vanilla on the finish. There are many departments that produce Colombia Supremo green coffee, but the coffee plantations in Santander are characterized by their abundant forests that help sustain a natural coffee growing environment favorable to biodiversity. Amazingly throughout Santander approximately 91% of the total number of coffee trees are shaded! — 61% semi-shaded and 30% fully shaded, allowing producers to develop natural, environmentally friendly ecosystems based on organic fertilizers and the surrounding forest. 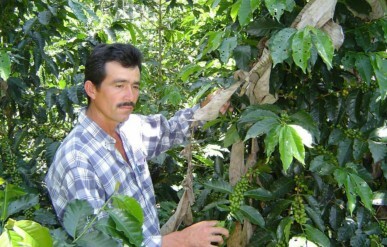 There are a total of 31,929 registered coffee growers in Santander; of its 87 municipalities, 75 of them grow coffee. Coffee farms here are typically highly modernized and produce mainly rust-resistant Castillo, Colombia, Caturra and Typica varieties. The Northeastern Colombian Coffee Cooperative has 2,091 members spread across not just Bucaramanga but also the neighboring micro-regions of Rionegro, San Vicente, San Andrés, Floridablanca, El Carmen, Zapatoca, and El Playón. The coop is involved in the purchase of both coffee and cocoa beans in order to maintain and help regulate sustainable pricing in local markets. The coop is able to provide coffee farmers a variety of benefits and support mechanisms such as milling services, quality/cupping evaluations and a warehouse/depository for any of their provisions related to coffee production. The coop also offers assistance with economic and finance programs in the form of credit for the purchase of fertilizers and crop advances prior to harvest as well as funding for farming equipment, agricultural supplies, accident & health insurance, medical supplies and emergency expensenses. Additional discounts on agricultural products relating to coffee are provided directly from the National Federation of Coffee Growers of Colombia (FNC) research and development programs. Bucaramanga, the capital city of Santander rests atop a plateau in the northeast portion of the department in between the Andean peaks to the east and the immense El Tama National Park, a sprawling 340,000 acres of protected forests, rivers and picturesque mountains directly to the west. There are over 160 local parks and recreation areas throughout Bucaramanga, aptly earning it the nickname “La Ciudad de Los Parques” (City of Parks). The city itself is a sizeable metropolitan urban-scape, containing a strong manufacturing base and several esteemed universities, yet its neighboring municipalities are predominantly rural farming areas. The climate is considered ‘tropical monsoon’ though not as hot as the tropics and not as wet as a rainforest; this is excellent for growers interested in producing high-grade Colombia Supremo green coffee. In a country like Colombia, made famous by the FNC for its aromatic, bold and complex coffees it’s a joy to be able to explore a slightly lesser known department such as Santander. Back in the mid 1800s, Santander was Colombia’s most important region for coffee production. It wasn’t until the FNC first formed in 1927 and decades later in 1958 when they introduced “Juan Valdez” as a the preeminent spokesperson and face of colombian coffee, that Santander farming began expanding to where it is today. That image of the iconic, Colombian coffee farmer and his burro has endured to this day, serving well the whole of Colombia in elevating their status as a quality source of specialty green coffee. At the time of this writing, the recent passing of Juan Valdez is a solemn moment for the whole of the coffee world to pause and consider his incredible life and the achievement of coffee producers throughout Santander, his home of Medellin and rest of the country.